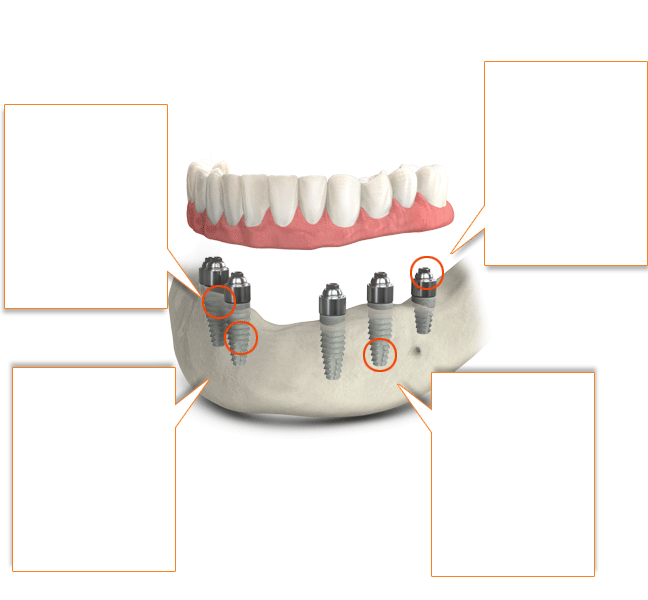 All on 4 ® is an advanced dental solution that involves securing a full arch of fixed replacement teeth onto four implants. 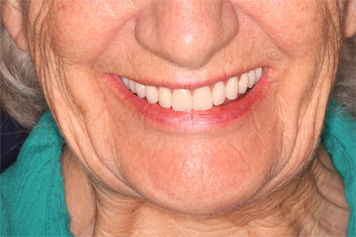 The treatment provides edentulous (toothless) and soon-to-be edentulous patients with a full-arch prosthesis on the day of surgery*. 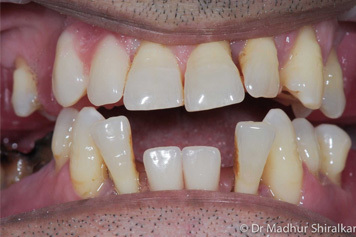 This prosthodontics procedure is generally a graftless solution, avoiding the time consuming, uncomfortable and costly process of rebuilding bone, which is needed for conventionally oriented implants. 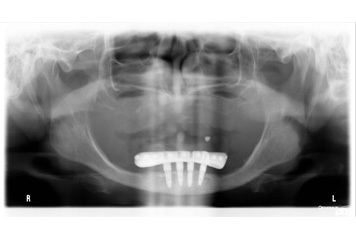 All on 4® dental implants provide stability even with minimum bone volume. 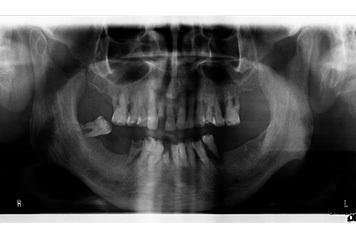 This is because the two posterior ones are tilted at a 30 to 45 degree angle. 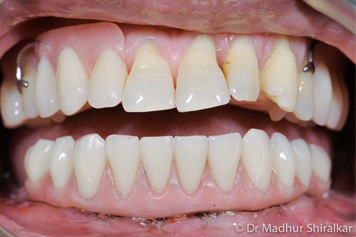 By tilting them, longer implants can be used. 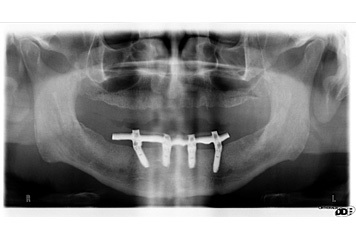 This increases bone-to-implant contact and ensures it’s anchored in higher-quality bone. The All on 4® procedure is the least time-consuming implant option and is also less costly than conventional implant treatments. Our dedicated team of experienced dentists and technicians will work on your implant procedure under one roof. 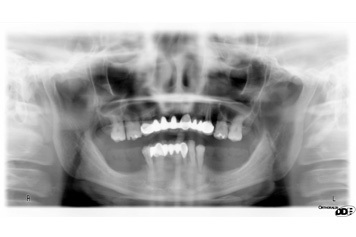 We use quality dental fittings that have been developed with a minimum of 10 years of research. 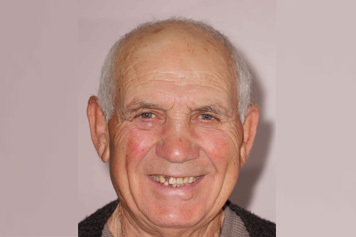 Our patients who have undergone the procedure for All on 4® dental implants have experienced improved satisfaction with regards to function, aesthetics, sense and speech. We understand it is an emotional decision, as well as a financial one. We are here to build trust and lasting relationships and encourage you to come for a consultation to discuss the process before you make any commitments. 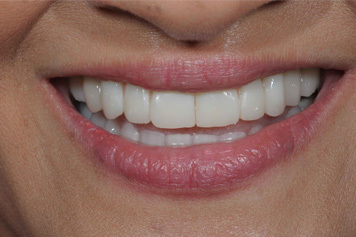 We are one of the most affordable providers of dental implants in Melbourne. We also offer payment plans to suit your budget requirements. 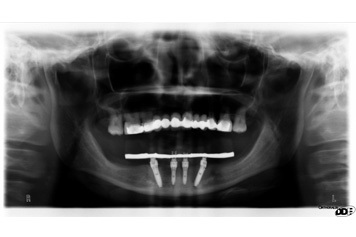 We offer quality All on 4 ® dental implants at affordable fees.